We all love those budget-busting “special” episodes of shows. Big season premieres, cliffhanger endings with huge stunts, special effects space battles, or casts of thousands. Television and spectacle can be brought together… but there’s usually a cost. There’s only so much money to spread around in making a television show, and not all episodes are created equal. For those “extra-special” episodes like the ones mentioned, the budget becomes a balloon, larger and larger by necessity. Locations, night shooting, extras, costumes galore…. Rarely (and I DO mean rarely), the network will come up with extra cash for an especially terrific idea, or additional money can be put in the budget for doing things out of the ordinary. 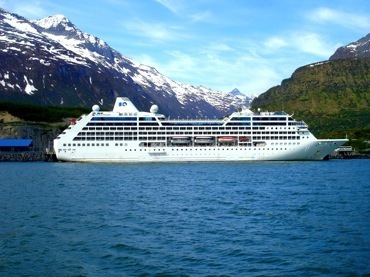 The best example is The Love Boat, in which about twice a year the cast and crew did a special episode on a REAL ocean liner (instead of their Hollywood soundstage set), sailing into the Mediterranean or up the coast of Alaska for a bonus length episode. Of course, even this was figured into the budgets of other outings, as many of the “establishing shots” used for generic shipboard life were filmed on these excursions to be dropped in the middle of “regular” episodes. The Middleman producers actually canceled its final ordered episode in order to give the extra cash to the previous installment, making its television finish stronger with more locations and special effects. 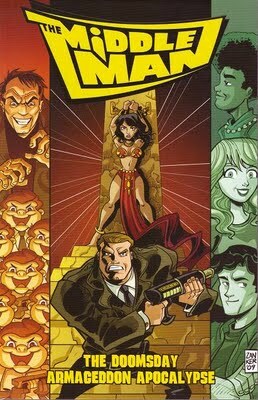 Any remaining money was spent on a comic book version of the “lost” thirteenth episode, where drawing laser-shooting robot kangaroos cost much less than building them. But these are aberrations. In the normal scheme of things, TV series have a set amount to spend on each episode, and if you overspend in one place, you have to make up for it somewhere else. Hence, the existence of “The Bottle Show”. When networks buy a show from a production company, they typically spend a certain amount of dollars in a “license fee”, allowing the network the right to air each episode a certain number of times (usually twice). Producers then use this money to make the series… but here’s the problem: most shows cost more to make — a LOT more — than the typical license fee provides. Most comedic or dramatic shows are made on deficit spending, with the hope that the series will last long enough to be sold later to individual stations as rerun fodder. Production companies then get bundles of cash for something they’ve already spent the money on to make… as long as there’s enough episodes “in the can” to sell. Realizing that the whole purpose of this website is to celebrate short-lived shows, most of the series featured here never made their money back, let alone saw a profit. In fact, many weren’t even close. But just to make sure each series at least has a shot at success, many series are “front-loaded”. In practical terms, this means shows are often given larger budgets early on, in the hopes of attracting an audience (with bigger and better sets, effects, and locations). The idea is, audiences will stick with a show despite a slightly smaller budget later, if they’ve developed their allegiance already. The ultimate goal is to gain a longer life on the network… and orders for enough episodes to gain the magical “rerun sales” figure. Production companies need this kind of success, because the vast majority of their shows each season are UNsuccesful, and all those failures have to be paid for somehow. Finding that one winner in a sea of also-rans keeps studios in business, and if they happen upon the show that runs practically indefinitely, then it’s a license to print money. But keeping shows on the air, and affording them in the process, is the real trick. Body of Proof -- Not dead yet. Borderline shows are looked at more closely if their production company is an arm of the network. ABC Studios is one of the companies involved in making the spring replacement series Body of Proof, and despite fair to middling ratings the show was renewed for fall. Why? Because the network already had an investment in the series (unlike, say, the science-fiction remake V, which had comparable ratings, but was made by Warner Brothers). With or without help, the problem is in getting to 100 episodes without breaking the bank. Again, only so much money is allocated to each show for a season’s run. So, if a series has been “front-loaded”, or if certain episodes cost extra money for one reason or another, then the money has to come from somewhere. Most likely, the production company will “borrow from Peter to pay Paul”, and take the money out of a different episode’s budget… and that usually results in “the bottle show”. We’ve all seen them, although some of them are good enough to slip under our television-viewing radar. Identifying characteristics typically include a dialogue-heavy episode, only one (or even zero) unique sets, and an absence of location shooting and guest stars. 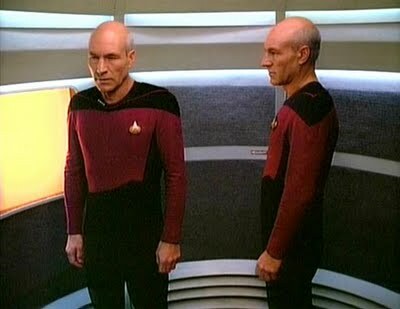 An obvious example is an episode of Star Trek: The Next Generation titled “Time Squared”, which takes place entirely onboard the standing Enterprise sets. It also features only one major “guest” part, and that isn’t really a guest at all… it’s a double of Captain Picard, played by series regular Patrick Stewart. Saving money on this episode let the production company spend it elsewhere, such as the season-ending cliffhanger The Best of Both Worlds, recognized as one of the best episodes of the entire Trek canon. Other shows throughout television history have used the same idea, to better or worse effect. One of my favorites (as I’ve mentioned previously) is current TNT show Leverage. Recently, during its second season, an episode featured primarily the two standing sets (a bar and upstairs living area). Only one other set was needed, a warehouse, conveniently located next door to the shooting stages in real life. The episode dealt more with the regular characters (using one primary guest star), and fans got a look into what made the lead character really tick, especially dealing with his alcoholism… when he’s forced to start drinking again. The title of the show? The Bottle Job, of course! The best “bottle” shows are the ones which embrace the concept, instead of just treating it as a necessity. Confining characters in the small space of one or two sets allows for deeper introspection, if written correctly. 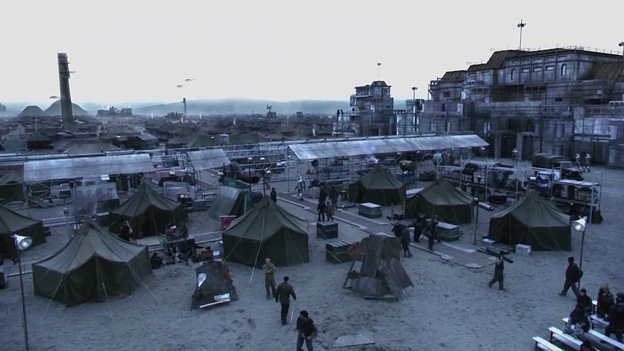 Many times, bottle episodes will literally involve trapping characters in a location, thereby not only forcing the cheaper use of sets, but allowing actors the additional motivation of limited space and options. Especially on television, limiting options makes for better entertainment, as characters are forced to confront themselves instead of some outside force… and viewers are all the better for it. There are points where not just money, but time becomes an issue. Most hour-long dramas use anywhere from seven to nine working days to shoot an episode, but sometimes episodes take longer to make than they’re scheduled for. Scenes shot previously turn out to be unusable for one reason or another, or time simply runs out. The choices are to either pay overtime (which some shows actually budget for, but others avoid like the plague) or to do a special type of bottle show known as a “clip show”. These are even easier to identify. 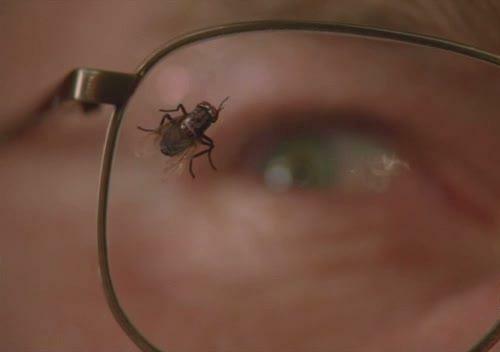 At its worst, “clip shows” are just a reason for characters to “remember” previous events, which are then seen using shots from earlier episodes. 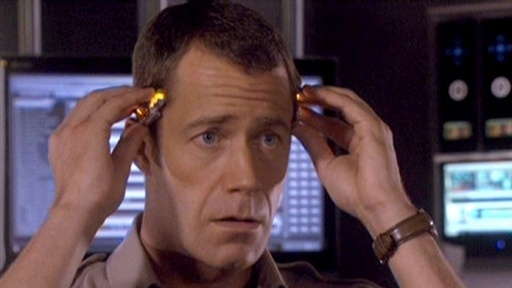 Others use a bit more effort, such as when the SF comedy-drama Eureka used a mechanical memory device run amok to trigger the clip sequences. Voyagers! reinvented itself through the use of a clip show. Producers filmed what they believed to be their final episode, The Trial of Phineas Bogg, and saved money by having “evidence” shown at the trial in the form of clips from previous episodes. A surprise renewal allowed them to not only make more stories, but to utilize the “villain” character they’d created for the trial, giving the protagonists a continuing enemy in subsequent adventures. In this case, the clip show served multiple purposes, even though it was not necessarily intended as such. The important thing (as far as the producer’s time and budget is concerned) is the “new” sequences shot for a clip show only take three or four days to film (with limited sets) instead of seven to nine, thereby shaving half an episode off both the schedule and the profit-and-loss sheet. This time and money can be used not only for “special” episodes, but also when there are unforeseen problems elsewhere, avoiding busting previously well-intentioned plans. Abed has a point, even though it was a rather “meta” one, featured in an obvious bottle show on the sitcom Community. The irony of his “hating” a bottle show when his character is in the middle of such an episode may have been a way for the writers of the show to express their own frustrations with having to make one. But some television writers actually welcome the exercise of being forced to write with limited access to a variety of sets or large casts. 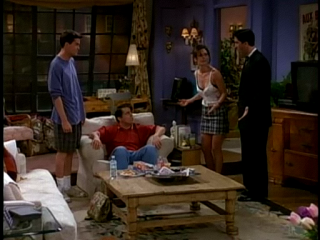 The crew of Friends tried to write at least one bottle episode every year, not because they had to, but because it was an excuse to stretch production muscles they didn’t ordinarily use. Friends was a huge hit, and could have afforded most anything they wanted filming-wise, but some of the most popular episodes are ones which rely on the base cast and two or three already built sets. Restricting your characters often results in the best stories, and a few of the bottle episodes of Friends are recognized as gems of the series. So, are bottle shows a blessing or a curse? It depends on the show, really. Done well, they can be highlights of creativity, forcing actors and crew into achieving some amazing television. Done poorly, they are easily recognized for their original purpose: to make a cheap episode. But they are a necessity in either case, or else fans wouldn’t get to see overwhelming space battles, casts of thousands (or at the very least, hundreds), and the opportunity to go “Wow, that was amazing!” And amazing television can still move us, enthrall us, and entertain as well as any other medium. Now, if you’ll excuse me, I’m going to sit down, open up a bottle of my favorite beverage, and find something terrific to watch. And, if it’s done right, I may even be looking forward to enjoying a bottle show.